Besides posting various pics of her daughters, Toya Wright also makes sure to keep her fans and followers posted on the postpartum body. She posted another photo on her social media account showing off her fantastic figure which gets fitter with each passing day. Checks it out for yourself! ‘#3weekspostpartum pjs: @shopsaxys’ Toya captioned the beautiful picture showing off her hot body after giving birth to Reign just three weeks ago. We can see her sporting sweet pink pajamas that totally compliment her figure. Her fans and followers were not shy when they had to express their opinion on her recent photo, and they posted tons of praises for her. ‘Wow, u look beautiful for someone just having a baby I still have’ one of them posted. ‘Hot mama. Looking good!! !’ another one of her fans gushed over this beautiful lady. Another commenter posted ‘Wow postpartum the worst thing g to have wouldn’t wish that on anyone hold on be strong it will be over soon. Baby girl is beautiful all of you stay blessed !’ being impressed with Toya’s looks. ‘Wish I looked this good right now. I’m three weeks pp today. You are beautiful!’ another follower gushed on Toya’s pic. 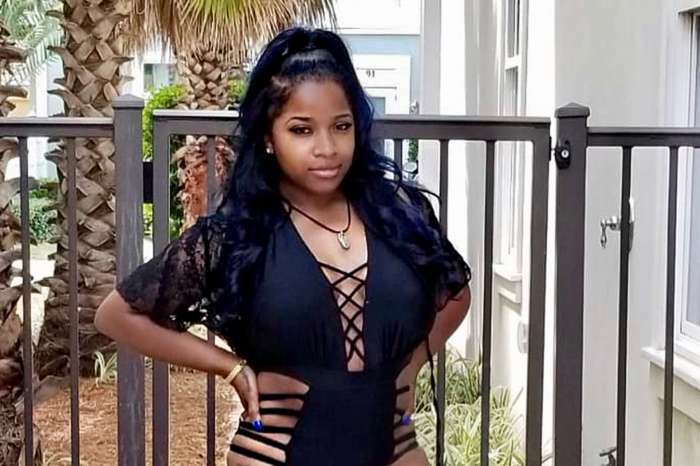 Toya also shared the most beautiful pictures of her adult daughter, Reginae Carter, and more pics of baby Reign Rushing, captioning the post ‘my favorite girls.’ Her fans adored her girls and made her forget all about the haters that she dealt with lately. Blac Chyna Caught Holding Hands With Her 18-Year-Old Boyfriend YBN Almighty Jay During Date Night - Check Out The Pic!